There's a ton of bad programming and security advice on the Internet. Some of the advice is bad because the author is misinformed, some because it emphasizes precision over clarity and most people wind up lost in the jargon. If you feel that cryptography is a weird, complicated, and slightly intimidating subject for which your feelings might be best described as lukewarm (on a good day), we hope that by the time you finish reading this page, you will have a clear understanding of the terms and concepts people use when this topic comes up. Warning: The example snippets on this page are for illustrative purposes. Don't use them in your projects. If you want a real-world example to reference, check out the snippets in our Chief Development Officer's StackOverflow answer instead. Let's start with a basic question: What exactly is a cryptographic feature? In the simplest terms we can muster: Cryptographic features use math to secure an application. How much information must be supplied by the developer? What is the intended goal? Developing cryptography features is best left to the experts. By all means, do feel free to tinker, but don't deploy your experiments in production or share them with other developers who might deploy them in production. Instead, use a high-level cryptography library that experts have already vetted. Follow the link to read our PHP cryptography library recommendations. The simplest algorithm to consider is the cryptographic hash function, which accepts one input and returns a single deterministic fixed-size output. When using a well-designed cryptographic hash function, such as BLAKE2 or SHA256, any change you make to the message will result in a drastically different hash output. Simple hash functions are fast and deterministic; if you have any arbitrary message, you can calculate the hash output for that particular message. By themselves, they are mostly useful for error checking or as a building block for other cryptographic primitives, which most developers will not need to develop. Cryptographic hash functions are one-way data transformations. Although you can easily calculate the hash output (often referred to as a message digest) for any arbitrary message, you cannot easily go from the hash output to the original message. Some hash functions (such as MD5) have weaker security guarantees and smaller output sizes. As a result, it's almost trivial to calculate two different messages that will produce the same MD5 hash. Most cryptography algorithms aren't as simple as hash functions. As a consequence, they are a lot more useful and can provide security guarantees beyond, "Yes, this output can be reproduced from this input." Consequently, they typically require two pieces of input: The message and a secret key. A secret key should be a unique string of random bytes that both the sender and intended recipient should know, and nobody else. A keyed hash function, such as HMAC, is a special implementation of a hash function that accepts a message and a secret key and produces a Message Authentication Code (MAC). Keyed hash functions are more useful than hash functions; only someone with the secret key can calculate a MAC for a given message. Therefore, if you transmit a message and a MAC for a given message, and never transmit the secret key, you can be reasonably sure that the message is authentic. Warning: Encryption without message authentication is vulnerable to chosen ciphertext attacks. Please read our whitepaper on Secure Data Encryption in PHP. Formally, encryption is the reversible process of transforming of a message (called the plaintext) and a secret key into a seemingly random string of bytes (called the ciphertext). i.e. encrypt($message, $key) should return a unique string of random bytes for a given pair of $message and $key. Unfortunately, simple secret-key encryption (also known as ECB mode) is not secure. If you encrypt the same (16-byte, for the popular AES encryption algorithm) block within a message with the same key in ECB mode, the ciphertext will repeat. Modern secret-key encryption, therefore, actually accepts more than two pieces of information. Beyond the plaintext message and a secret key, they also require a unique Initialization Vector (IV, for CBC mode) or nonce (number to be used once, for CTR mode). The difference between a nonce and IV is subtle. None of the code on this page is secure; neither are any of the encryption keys. * This code is for example purposes only. DO NOT USE IT. str_repeat("\0", 16) // This is a really bad way to generate a nonce or IV. A more in-depth and less illustrative example (which properly generates IVs) is available here. For a closer examination at symmetric-key encryption with OpenSSL, read our white paper. Decryption is only successful if the same IV/nonce and secret key are used. However, only the key must be kept secret; the IV and nonce can even be broadcast with your encrypted message. If you recall from our earlier blog post, Using Encryption and Authentication Correctly, secret-key encryption itself is vulnerable to tampering unless you combine it with authentication. The only strategies proven to be secure are to use an AEAD mode or to always encrypt first then authenticate the encrypted data with a MAC. *    on your own. 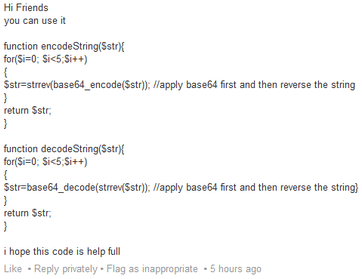 It's generally a bad idea to copy and paste security code. Secret key encryption provides confidentiality such that it can only be read with the correct secret key. Keyed hash functions provide authentication (and consequently, message integrity) such that anyone possessing the correct secret key can recalculate the same MAC. A random IV/nonce is used to make each encrypted message unique, even if the unencrypted message is the same. It should go without saying, but double-encrypting or double-authenticating when you need authenticated encryption would just be silly. Each participant has a private key, which they never share. Each participant also has a public key, which is mathematically related to their private key, which they share with everyone. It is unfortunate that the "key" terminology from secret key cryptography stuck when public key cryptography was discovered, as there aren't very many physical systems that are intuitively similar to what's going on here. Some people have attempted to explain public key cryptography using colors or detailed explanations. If you're interested in the intimate details, we recommend both of the links in the previous sentence. There is only one private key for any given public key. Both of the keys in a given key-pair are related to each other, mathematically. Given a public key, it is almost impossible to figure out what the private key is. Given a private key, you can near-instantly calculate the related public key. Got it? Let's build something with this understanding. Let's say you want to talk to a friend over the Internet using secret key cryptography (which is much faster than public key cryptography), but you don't want anyone else to read it. You and her haven't already agreed upon a secret key. How do you do it? You send her your public key (yellow). She sends you her public key (light blue). 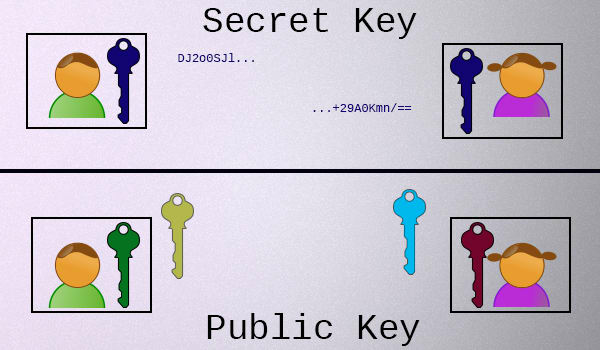 Combine your private key (green) and her public key (blue) to form a shared secret key. She will combine her private key (red) with your public key (yellow) to form the same exact shared key. How? 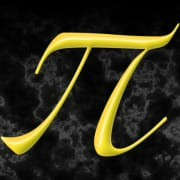 Modular arithmetic (classic Diffie Hellman) or multiplication along elliptic curves over finite fields (modern Elliptic Curve Diffie Hellman). Digital signature algorithms, such as EdDSA (Edwards-curve Digital Signature Algorithm), are one of the most useful innovations to result from public key cryptography. A digital signature is calculated from a message and a private key. Earlier algorithms (such as ECDSA) also required you to generate a unique random nonce for each message, but this was proven to be error-prone in the real world. Anyone else with a copy of your public key can verify that a particular message was signed by your private key. Unlike keyed hash functions, this verification takes place without requiring you to reveal your private key. Quick answer: Just use bcrypt. For PHP developers, this means password_hash() and password_verify() rather than crypt(). Unlike cryptographic hashes, password hashes require more than one input parameter. But unlike encryption algorithms, password hashes are one-way deterministic trap door calculations. Also unlike secret-key encryption, the salt does not need to remain secret; it merely needs to be unique per user. The purpose of a unique salt per user is to thwart pre-computation and to make brute-force guessing passwords from a list of hashes more expensive. Can I encrypt my (bcrypt) password hashes? Yes. If you run your web application and your database on separate hardware servers, this actually provides a substantial defense in depth. That's the reasoning behind our password_lock library. Digital signatures can prove authenticity, cryptographic hash functions can not. There is a nontrivial portion of technical users that will, upon downloading an executable from a website, recalculate the MD5 or SHA1 hash of the file and compare it to one displayed on the web page they downloaded the file from. If it matches, they will execute the file, fully trusting its contents to be genuine. After all, as we said above, hash functions like MD5 and SHA1 produce a deterministic fixed-size output for a given input. There are no secrets involved. When a solution does not increase security but makes people feel more secure, we call them security theater. Cryptographic hash functions are security theater in this situation. You want digital signatures instead. To improve security, instead of posting MD5/SHA1 hashes, the software vendor can instead sign their package with their EdDSA private key and share their EdDSA public key far and wide. When you download the file, you should also download the signature and, using the verified public key, check that it is authentic. A keyed hash function won't work here either, as you would need to distribute the secret key in order for anyone to be able to verify the signature. If they have the secret key, they can forge their own signatures for maliciously altered message (in this case, executable file). Digital signatures are the best way to achieve assurance about the authenticity of a download. MD5/SHA1 hashes are almost always useless here. This may very well be the worst password storage function ever written. A lot of developers will either encode or compress information and assume their solution provides the same level of security as actual cryptographic features simply because the output is not human readable. It doesn't. Encoding and compression algorithms are both reversible, keyless transformations of information. Encoding specifies how information should be represented in human-readable text. Compression attempts to reduce an input to as little space as possible. Both are useful, but they are not cryptographic features. Cryptographic hash algorithms (e.g. SHA256) are deterministic one-way algorithms that require zero keys. Keyed hashing algorithms (e.g. HMAC) are used for authentication in secret-key cryptography; requires one key. Secret-key encryption algorithms (e.g. AES-CTR) are used to transform messages so only someone possessing the secret key can reverse; requires one key. Shared secret agreement algorithms (e.g. ECDH) are used to negotiate a shared secret key while only requiring the public transmission of both party's public keys. Requires four keys (two pairs of private/public) to generate a fifth. Digital signature algorithms (e.g. Ed25519) are used to sign messages (with one's private key) that anyone possessing the corresponding public key can validate. Requires two keys. Password hashing algorithms (e.g. bcrypt) are slow hashing algorithms designed specifically for being difficult to efficiently attack with a brute force search. Requires one secret input and a per-user salt. Encoding algorithms (e.g. Base64) are not cryptographic. Compression algorithms (e.g. gzip) are not cryptographic. Don't encrypt passwords. Instead, hash them with a password hashing algorithm. (You may encrypt the hashes.) Hash functions like MD5, SHA1, and SHA256 are not encryption. Anyone who uses the phrase "password encryption" probably needs to read this entire page carefully, because they are deeply mistaken. Secret-key encryption without message authentication is insecure (it's vulnerable to chosen ciphertext attacks). For downloads: digital signatures prove authenticity, hashes do not. You want a Minsign or GPG signature, not an MD5 hash. We hope that this post serves as a good introduction to cryptography concepts. 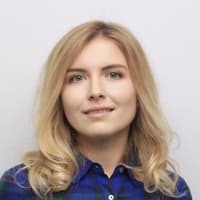 Our team publishes new posts about cryptography, application security, and web development in PHP anywhere from 2 to 5 times per month (usually on Friday). We also offer code review and technology consulting services. I do crypto/appsec/development for Paragon Initiative Enterprises. Software consulting and web development for businesses with attention to security above and beyond compliance. I thought the two were essentially two sides of the same coin, and we just arbitrarily choose one to be the private key and hide it and publish the remaining one. We have to go more public! Is it still useless if the file is served over an insecure connection (like a HTTP mirror) and hash is accessed over an HTTPS connection? This looks great, thanks for sharing. you cannot easily go from the hash output to the original message. I feel like that one requires an asterisk, e.g. (* unless you happen to have a large table mapping original messages to hash values. Use salts to combat rainbow tables). I prefer rot26 encryption to base64 though. Would you say chocolatey's hash verification is not a waste of time, since it stores the hashes in the repository, far from where a compromise of the application developer's site could reach? Thank you so much for this excellent and important article and its topic. "[...]ret key can reverse; requires one key.[...]" You have "key" highlighted instead of "one"
Bonus: You wouldn't tell your fianceé that you work for the CIA.